I’m excited to share that I’m working on an exciting branding project in the works. Blossom Market Hall, a 14 Vendor Food Hall, will be replacing the San Gabriel Masonic Lodge in San Gabriel, CA. We’ve already created the logo and just started on the website….the space should be opening by spring or summer 2020. Looking forward to sharing more soon! 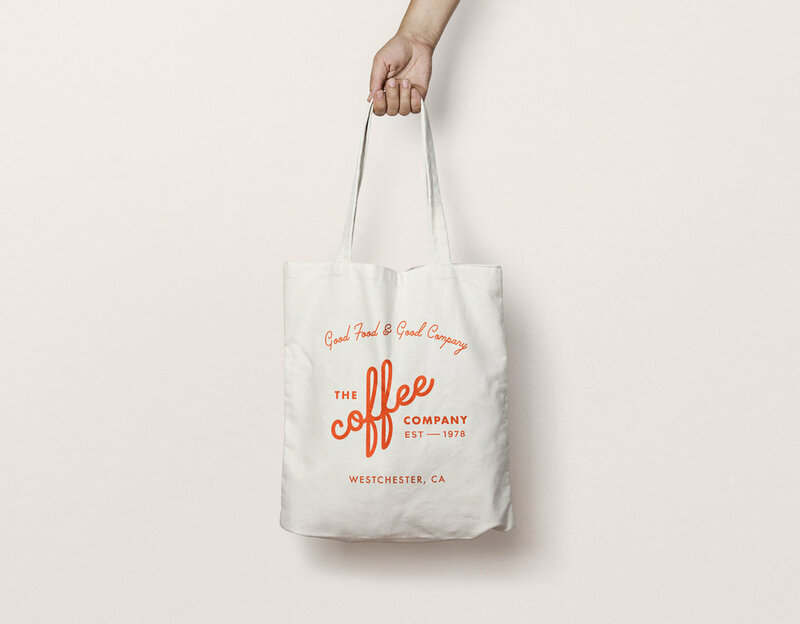 The Coffee Company, established in 1978, is a family-run New American Diner, located by LAX, serving locals, tourists and loyal patrons. This was a fun project. It’s menu primarily consists of breakfast and lunch staples along with tasty Cajun and Middle Eastern influenced dishes. 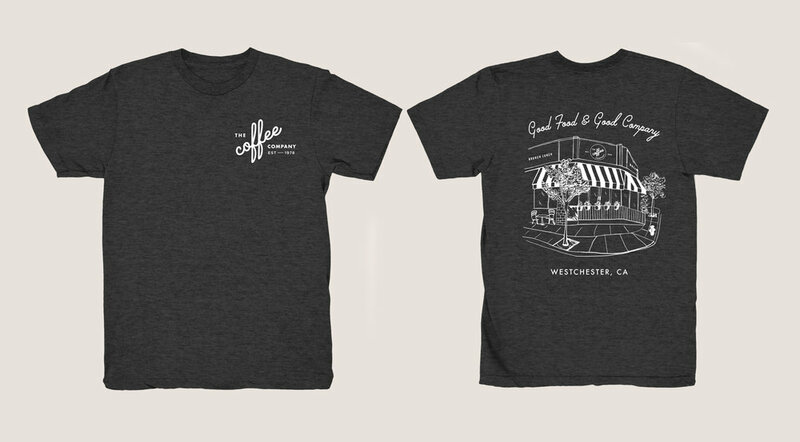 I was hired to give the diner a new visual identity which would carry over to signage, menus and new website. 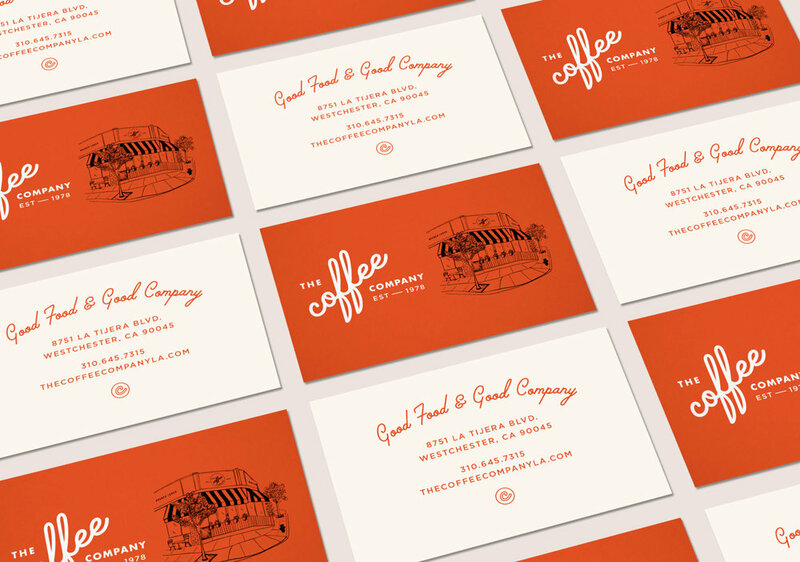 The objective was to create a look that felt “established” (and a little retro) while reflecting the friendly and welcoming place that it is. 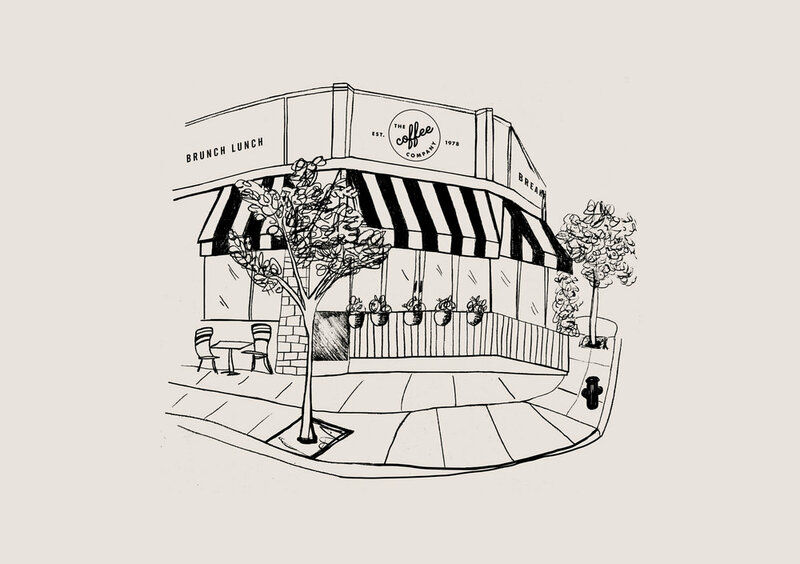 The illustration of the restaurant appearing on the menu covers and t-shirts give it a warm friendly neighborhood feel. It’s a perfect stop if you're traveling to or out of LAX. I highly recommend the ‘shrimp & grits' as well as the "‘corned beef hash topped with two eggs’! I had the pleasure of working with the Rustic Canyon Family Restaurant Group on their latest project, Tallula's, located just a block from the beach in Santa Monica. Working with Josh Loeb, Zoe Nathan and Chef Jeremy Fox, I created the visual identity, signage, stationery, menu designs and the website for this charming and fun neighborhood Mexican restaurant. The restaurant, named after Josh and Zoe's daughter Tallula, has a vibrant and festive atmosphere with an outstanding and creative menu by Chef Jeremy Fox and Chef Mario Alberto. It was exciting to see the way everything came together, from our initial meetings, to the interior designer's sketches, to construction, printing of materials, and finally seeing them open for business and eating the delicious food. The project started with a vision board which sets the mood and tone from the design objectives and positioning established in our initial meeting. Once the mood board and design brief are approved and everyone is on the same page, I start sketching concepts. The sketches above are for the chosen direction: "warm and welcoming". I ended up manipulating the letterforms a bit in the computer until the logotype felt balanced and legible. I then created a festive and colorful illustrative pattern inspired by Otomi textiles. The hand-drawing has a folk art feeling to reflect the hand-crafted food and cocktails. We had the logo and directional signage painted by hand throughout the restaurant. We created custom lettering for the neon sign at the bar which makes for a popular Instagram shot. The Tallula's branding carries over to the website design and is programmed from scratch in Wordpress. There were 3 main goals we achieved. First, the site needed to be user-friendly and mobile-friendly with all the information being easily accessible by the user and easy to make a reservation. Second, we needed to showcase the delicious food and stylish interior using large and beautiful photography. Third, it needed to be programmed in a way that was super easy for the client to update all on their own; this included the main text on all pages, food and drink menus, hours & special events, photos, and adding press articles. If you find yourself in Santa Monica, you must check out Tallula's. Or heck, make a special trip! I promise you won't be disappointed. This is truly a special place, with delectable food and cocktails to boot! If you need help with a branding project, please feel free to contact me. After participating in a peaceful protest in downtown LA last weekend, we decided to head to the Grand Central Market for lunch. After walking for three hours straight, we were ready to eat! There are many options at this massive indoor food market, and we decided to go to try Berlin Currywurst. Currywurst is the most popular street food in Germany. They offer a pared down menu and the food is presented in an authentic and simple way. I had the original Bratwurst with special tomato curry sauce (you tell them how hot you want it), with a beet salad and fries on the side. It hit the spot. Berlin Currywurst has two more locations, one in Silverlake and another in Chelsea Market, NY. Last weekend, Michael and I went to check out Smorgasburg in Downtown Los Angeles (DTLA). We were curious to check it out since we frequented the one in Williamsburg when we lived in Brooklyn. It was pretty easy to get to and there was ample parking in a multi-story lot. There were plenty of vendors so we had a good variety to choose from. We had fun sampling and people watching. I regret not trying Lobsterdamus - next time! Check out SmorgasburgLA every Sunday. Fall hours are 10am-4pm and the parking is free for for the first two hours. Smorgasburg is located at Alameda Street and Bay Street in the ROW DTLA development. Pork Belly Potato Scallion Pancake Tostada AND Sichuan Spicy Cold Noodles from Chinese Laundry. black truffle + honeyed hazelnut AND pecan + chicory coffee caramel from Wanderlust Creamery.